Whether business or pleasure, we are honoured to be at your service. With function rooms and banqueting halls of various sizes available, Shaza is the dignified choice of those seeking a refined and cultivated address to host both guests and events. From venue and décor to lighting, sound and vision and catering all attended to by our resident events coordinator, the perfect celebration or meeting is only a call away. Our meeting and banquet rooms at Shaza Al Madina flow seamlessly and effortlessly from our public areas. 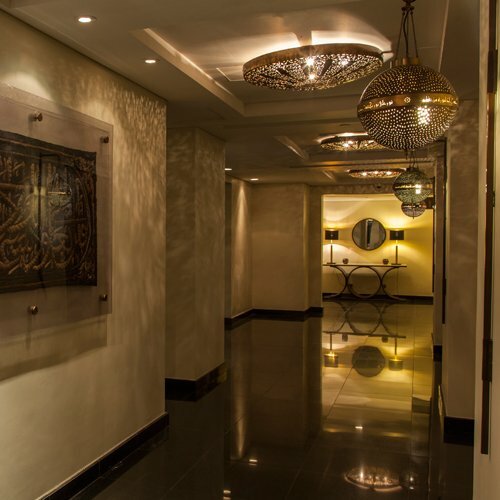 With typical Shaza Al Madina refinement and luxury, the appointed rooms lend themselves to formal dinners, corporate functions, meetings and even exhibitions. With every modern technological convenience, attentive dedicated staff and a superb choice of cuisine, it is with great pleasure that we invite you to experience and host your next event with us. 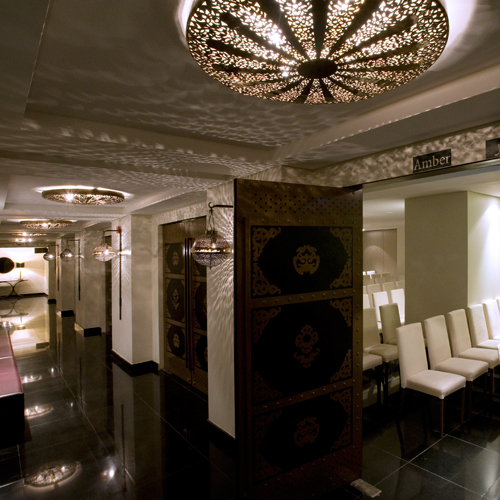 Misk offers an area of 178 sqm and has a capacity of 108 persons in theatre style and 80 persons seated for dinner. It features a sound system, an overhead projector and a screen as well as an option to combine the meeting rooms; MISK and AMBER into a large single space of approximately 240 sqm. Facilities include WiFi and state-of-the-art-audio. All dining offers, including tea, coffee and snack menus are available or can be tailored specifically as per your request. Amber offers an area of 174 sqm and has a capacity of 80 persons in theatre style and 60 persons seated for dinner. It features a sound system, an overhead projector and screen as well as an option to combine the meeting rooms; MISK and AMBER into large single space of approximately 240 sqm. Facilities include WiFi and state-of-the-art-audio. All dining offers, including tea, coffee and snack menus are available or can be tailored specifically as per your request. Located on the 12th floor of the hotel, a multipurpose and flexible banqueting venue designed to host meetings, receptions and workshops with all the expected sophistication and command we impose upon ourselves. During the high seasons of Haj, Umrah and Ramadan Oud transforms to serve as an additional restaurant or private dining establishment catering specifically, and on request, to large groups travelling together.